The Pittsburgh Penguins won their second consecutive Stanley Cup Championship on Sunday, June 11, defeating the Nashville Predators, 2-0, to keep the treasured trophy in the Steel City for another year. In a few weeks, the Cup will see the names of more than four dozen Penguins players, coaches and support staffers etched onto its base. 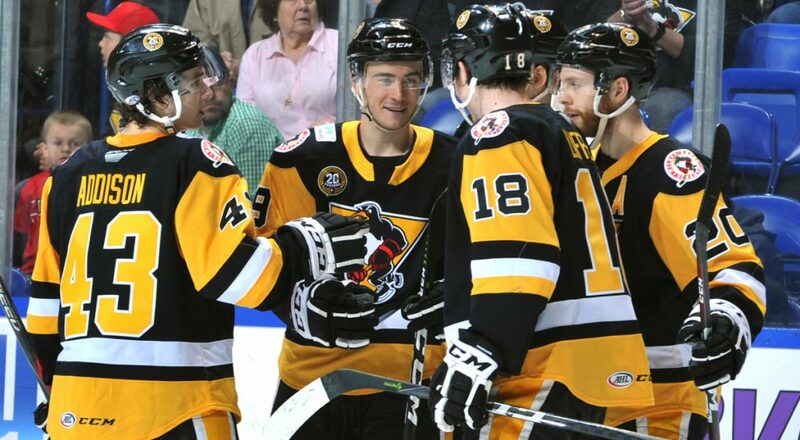 And, as in both the 2009 and 2016 championship seasons, there will be no shortage of connections to the Wilkes-Barre/Scranton Penguins there. 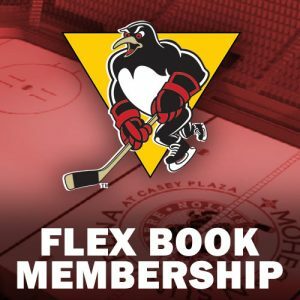 Twelve Pittsburgh Penguins players who qualify to have their names on the chalice have played at least one game with the AHL Penguins. 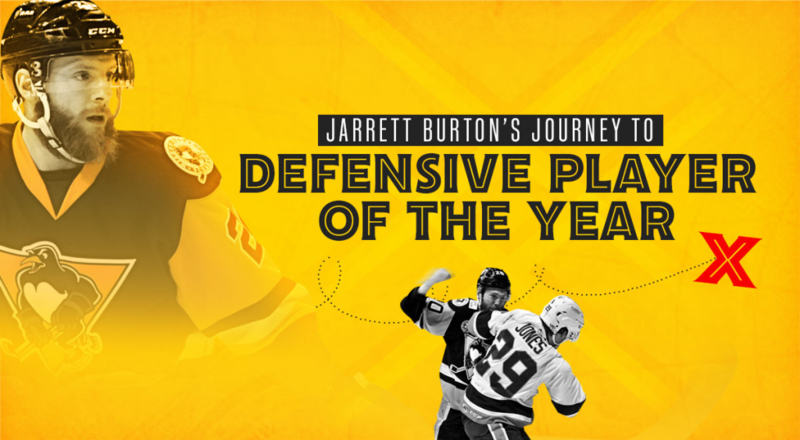 Kris Letting and Marc-Andre Fleury become the first three-time champions to pass through Wilkes-Barre/Scranton, while Conor Sheary, Bryan Rust, Matt Murray, Tom Kuhnhackl, Brian Dumoulin and Olli Maatta have been members of both of the Pens back-to-back teams. 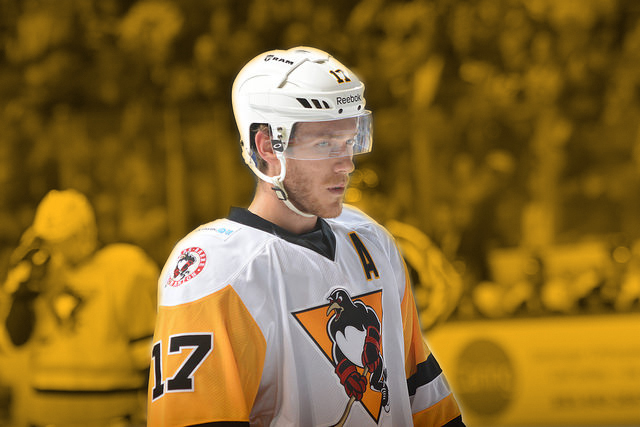 Joining that group of repeat winners are newbies Carter Rowney, Jake Guentzel, Josh Archibald and Scott Wilson. 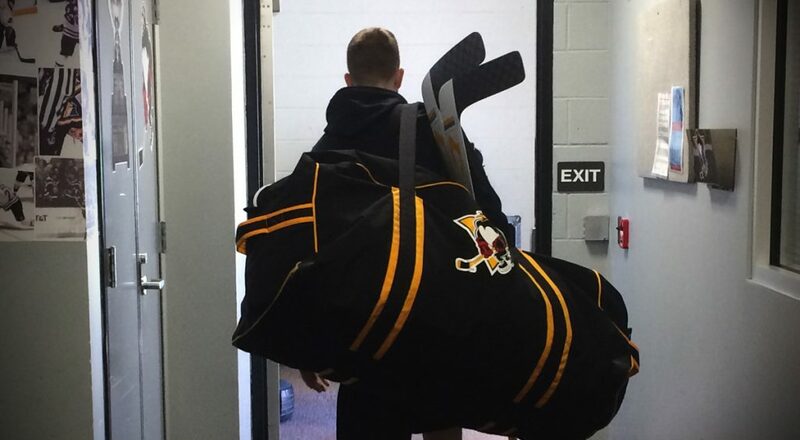 Wilson was a member of Pittsburgh’s Cup run last spring, but due to injuries and a lack of games played, did not qualify to have his name on the trophy. 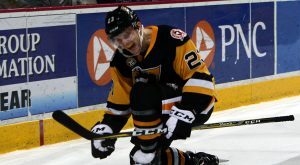 Rowney, Guentzel and Archibald all spent parts of this season in NEPA. 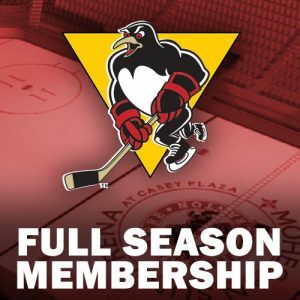 Head coach Mike Sullivan spent part of the 2015-16 season guiding Wilkes-Barre/Scranton before being promoted to Pittsburgh, and is now the first head coach since the great Toe Blake in 1956 and 1957 to guide a team to Stanley Cups in his first two years behind an NHL bench. 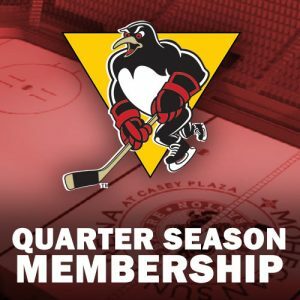 Three other former Wilkes-Barre/Scranton staffers figure to see their names written in hockey immortality for a second straight season as well. Patrick Steidle spent more than a decade with his hometown team before joining Pittsburgh’s athletic training staff in 2013. Jim Britt worked his way up from intern in Wilkes-Barre to his current position as the Pens team services manager. And Andy Saucier parlayed two seasons as the AHL team’s video coach into the same position with Pittsburgh. Players and coaches with Wilkes-Barre/Scranton ties have been featured on the Stanley Cup in seven of the past nine seasons. Here’s a year-by-year view of some names you probably know.